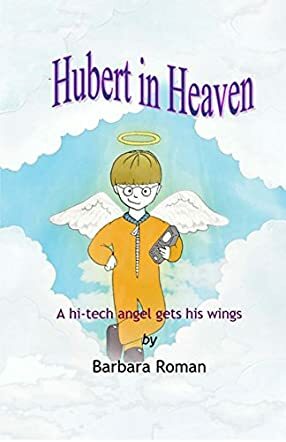 Hubert in Heaven: A Hi-tech Angel Gets His Wings by Barbara Roman begins with the newest group of Soon-to-be’s sitting on their cloud pillows and listening to the Grand Transition Master on rules of conduct in heaven. He tells them being an angel is a responsible task and they have many tasks to perform before they earn their wings. As the Master is pointing to the screen and explaining, a four-star collision causes the screen to go blank. A little fellow comes tumbling in. The Master is annoyed that his lecture has been disrupted. The little fellow introduces himself as Hubert and tells them that he is a hologram in a video game and he wants to get back to his rightful place. The Master tells Hubert that, for the time being, this is his place and gives him some tasks. Will Hubert be able to perform the tasks, find his purpose, and finally get his angel wings? The story is magical and has a lot of good messages for children, that life can be lived without always punching the keys of a computer, accepting that everyone is different, and that we need to value the abilities we have. The illustrations are beautiful and they add to the whimsical element of the story. It is a good story to help children understand about being unique and different, and the author does it with expertise using Hubert. It is a good bedtime storybook for children and can be given as a gift during the Christmas season. Tutors and educators can use it in classrooms and school libraries for read aloud sessions during the Christmas season as well as any time of the year.